The first requirement is determine what certifications you need (or have) and come up with a name for the training. 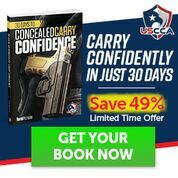 You make already have certs to get your company going or you may need to complete a USCCA or NRA course to become certified. For the name of your business it be Joe’s Firearm Training or you could decide to come up with a different kind of name like American Defense Training. Remember that the name should describe the business you are in and not just one piece of it. i.e. 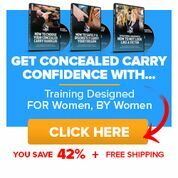 we chose to go with ‘Training’ versus ‘Firearms or Guns’ because we try to offer defense training no matter what it is. The hardest piece to find is a range. Yes, you may have a bunch of ranges around you but how many of them are going to allow you to bring a class in to use their range. Commercial ranges can have reservations because you could be competing with their classes. Your best bet is to find a local club who will allow you to use their range and expose your students to their club. Make sure the range that you use is safe and you know what they will and will not allow. When you are arranging for a classroom and range one item that will help in your negotiations is letting know you have instructor insurance. This covers you in case of an accident and also gives the property owner coverage too. 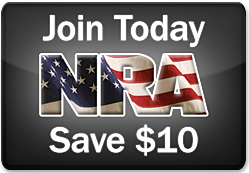 One place to look for coverage is the NRA Instructor Insurance from LockIn. Website – Not as important beginning out as a Facebook page but something you should look to setup once you are established because it will give you more of an identify online and you can customize it much more than Facebook. Checkout GoDaddy.com and their WordPress offerings. You’ll be collecting money from students and you should setup a separate checking account so you can track your income and expense separate from any other checking account. One item you should definitely invest in before starting is a quality first aid kit. You’ll use it mainly for when someone skins a knee or scraps a knuckle but you’ll want to have it one hand and know how to use it in case you have someone accidentally shot on your range. Knowing how to slow the loss of blood with a tourniquet will make a big difference before professional care arrives. Something not to overlook as you start training is what are your state’s requirements? The best way to find out is contact your sheriff or state’s Attorney General. If you teach in Ohio we’ve complied the latest information into a handy article here. Additional training aids to invest in over time include blue guns, laser (SIRT) pistols, empty shell cases, remote control for computer, laptop, projector, posters, books, and a stock of various targets. Not all of these are required on day one but you should look into reinvesting in your training as you teach.